In 2017, the Sequoia Field Institute and the National Park Service present the inaugural California Naturalist certification course in Sequoia National Park. 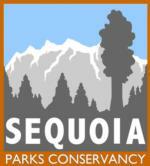 The Sequoia Field Institute (SFI) is the educational branch of the Sequoia Parks Conservancy (SPC). 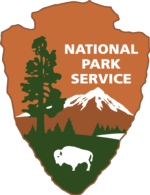 SPC is the non-profit partner to the National Park Service in Sequoia and Kings Canyon National Parks and USACE Lake Kaweah. Each year, SFI presents opportunities for park visitors to enjoy the parks. This 9 day training course will offer participants an introduction to local ecology and natural history, focused on the ecosystem linkages of California’s Sierra Nevada and with an emphasis on Sequoia National Park. This 40-hour immersion course consists of presentations, field trips, collaborative discussions and a capstone project. Time in the field with researchers and professionals gives participants hands-on experience with curriculum and the opportunity to see nature from a scientist’s perspective. Participants will also be able to interpret what they see in order to make meaning for themselves and others. The course will take place in several locations throughout Sequoia National Park. Your camp space has been reserved and is included in the course fee. Camping for the first weekend session will take place at Potwisha Campground, located in the foothills near the southern entrance of the park. Camping for the second and third weekend sessions will be at Wolverton meadow, located in the heart of Sequoia National Park between Lodgepole and Giant Forest areas. Upon completing certification requirements, participants are eligible for four academic credits through UC Davis Extension for an additional nominal fee. Registration and Fees: $750. Class size is limited to 24 participants. Fees include lodging, course instruction and field sessions, graduation certificate, California Naturalist registration, website support, and lapel pin. Students will be provided a nature journal, but will need to purchase the required text, The California Naturalist Handbook, prior to the start of the course. For an additional $80 fee, 4 Continuing Education Credits (CEUs) are available through UC Davis Extension to teachers and undergraduate students who successfully complete the course. If you desire CEUs, please speak to the course coordinator. Contact: Savannah Boiano, Executive Director, 559-565-4251.